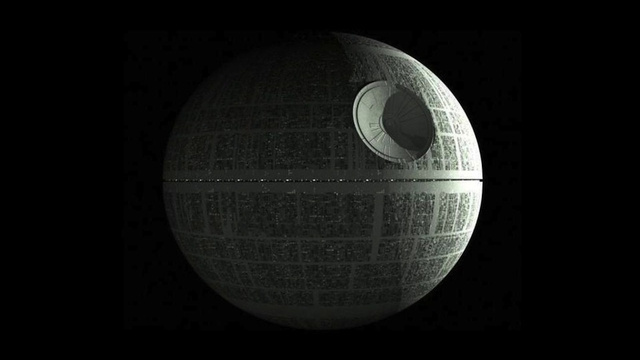 The White House has rejected a proposal to build a Death Star, saying that in addition to its prohibitive construction costs, the current administration does not advocate destroying other planets. Yes, we already have a giant, football field-sized International Space Station in orbit around the Earth that’s helping us learn how humans can live and thrive in space for long durations. The Space Station has six astronauts — American, Russian, and Canadian — living in it right now, conducting research, learning how to live and work in space over long periods of time, routinely welcoming visiting spacecraft and repairing onboard garbage mashers, etc. We’ve also got two robot science labs — one wielding a laser — roving around Mars, looking at whether life ever existed on the Red Planet. Shawcross also points out that exploration of space is no longer a government-exclusive industry and that private companies are already ferrying cargo into space under NASA’s Commercial Crew and Cargo Program Office (aka C3PO). He also offered a reminder of some of the space-exploration projects currently under way or on the drawing board. Shawcross closes the administration’s response with a serious note encouraging students to pursue careers in science, technology, engineering, or math-related fields and highlighting the science fairs and White House astronomy sessions initiated by the Obama Administration.